JCD Publishing offers books, software, short courses, and consultation for the imaging system professional working with infrared (thermal) or visible imaging cameras. 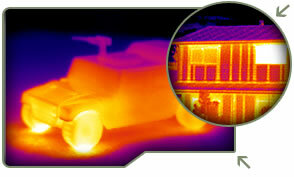 Many books are considered "must have" by infrared (thermal) and visible imaging system specialists. The books cover a wide range of topics: CMOS/CCD visible cameras, second edition, testing, infrared camera design, sampling artifacts, infrared non-destructive testing, and atmospheric propagation effects.